Stockholm (AFP) - Sweden's central bank took its key interest rate further into negative territory Wednesday in a surprise move aimed at supporting a return to inflation. The Riksbank cut its repo rate by 0.15 percentage points to -0.25 percent and said it was buying government bonds worth 30 billion kronor ($3.4 billion, 3.2 billion euros) to prevent an appreciating krona from hindering an uptick in inflation. "The executive board of the Riksbank assesses that an even more expansionary monetary policy is needed to support the upturn in inflation and ensure that long-term inflation expectations are in line with the inflation target," the bank said in a statement. Sweden is a member of the European Union but not of the eurozone and so retains control, via its central bank, of monetary policy and interest rates. Inflation has been close to zero in Sweden since late 2012 and in February it was at 0.1 percent, far below the target of 2.0 percent. The bank said the weakening trend had bottomed out and inflation was beginning to rise but that the rising krona -- up 5.0 percent against the euro over the past month -- could halt the increase. 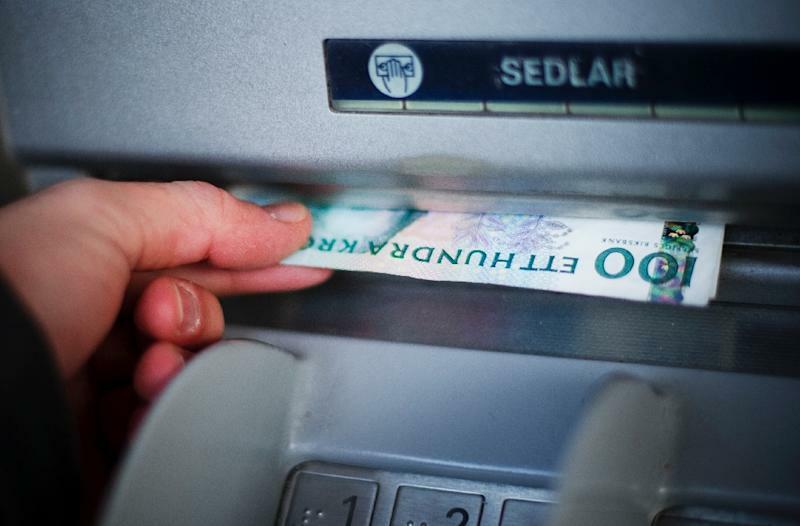 "The central bank had decided to keep the krona weak and is not satisfied with the resulting inflation increase," Thorbjoern Isaksson, an economist at Nordea bank told news agency TT. European central bankers have been battling to end the trend of falling prices. Although lower prices sound like they should be positive for consumers and the economy, economists fear that they could touch off deflation in which shoppers put off purchases in the belief that prices could fall further. This leads to a spiral of ever weaker demand, slowing the economy and pushing up unemployment. Sweden's repo rate serves as a reference between the central bank and the country's commercial banks during refinancing operations. The rate also acts as a guide for rates on money markets and Wednesday's cut will further drive down the cost of credit. The bank's decision to buy government bonds has the same aim of boosting a return to inflation and will take place between March 26 and the end of May. Jessica Hinds, an analyst at Capital Economics, said further rate cuts and bigger asset purchases could be expected in response to a rising krona as a result of the European Central Bank's measures to stimulate inflation. Swedish daily Svenska Dagbladet called the announcement "extraordinary" as rate changes are traditionally made public after the central bank's monetary policy meetings. "These measures and the readiness to do more at short notice underline that the Riksbank is safeguarding the role of the inflation target as a nominal anchor for price setting and wage formation," the bank said, adding that the rate would "remain at −0.25 per cent at least until the second half of 2016."